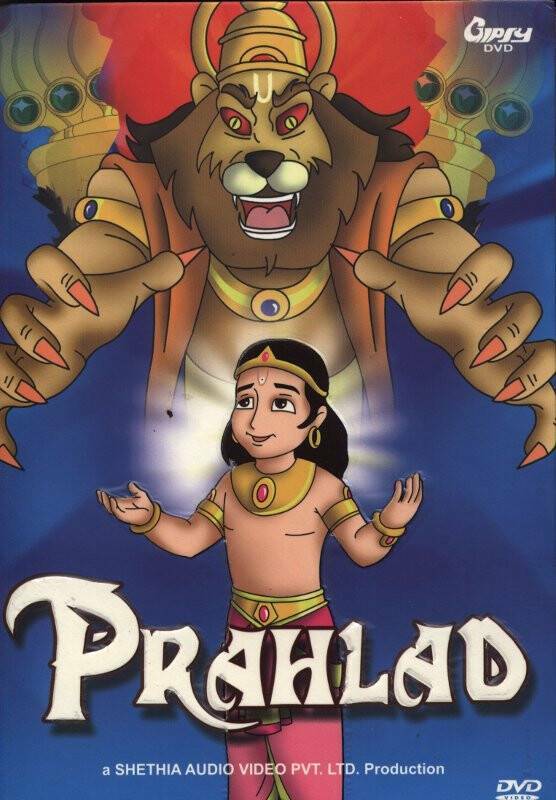 "Prahlada Maharaja" is the saga of a young boy, who proves to the world that even a boy of his age with the power of faith and meditation can compel Lord Vishnu to appear as an incarnation (Nrsimhadeva--the half-man, half-lion form of Vishnu) and destroy his evil father Hiranyakasipu! Prahlada Maharaja is the divine saga of a boy who is a pure devotee of Vishnu but his father, Hiranyakasipu, is a great demon. Hiranyakasipu was a demon king who wanted to become God! He performed severe austerities and called upon Lord Brahma. He asked Lord Brahma to give him the boon of imortality. Lord Brahma himself is not immortal so he could not really give this boon. But Hiranyakasipu got many boons from Lord Brahma and was confident that indirectly he was not imortal. Then Hiranyakasipu declared himself as god! Frightened by the growing power of Hiranyakasipu the demigods went to Lord Vishnu and asked Him to save them before Hiranyakasipu wiped them off from heaven. Lord Vishnu assured the demigods that when the right time comes He himself will incarnate as an avatara and kill the demon Hiranyakasipu. To this ferocious demon is born a son Prahlad! And when Prahlad was born he was already and ardent devotee of Lord Vishnu. This angers his father Hiranyakasipu and he orders that Prahlad should be killed. But whatever drastic ways Hiranyakasipu takes to kill Prahlad he is saved by the grace of Lord Vishnu! Hiranyakasipu gets so frustrated that he decides to kill his son himself. And then Lord Vishnu appears in the form of Lord Nrsimhadeva (half-man, half-lion) to put an end to the evils of Hiranyakasipu. But Hiranyakasipu has the boon of being immortal! Will Nrsimha be able to kill Prahlad even after Hirayakasipu has receive this boon from Lord Brahma? 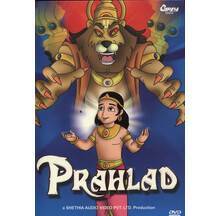 This is "Prahlada Maharaja" A saga of a young boy, who proves to the world that even a boy of his age with the power of faith and meditation can compel Lord Vishnu to appear as an incarnation (avatar) and destroy his evil father Hiranyakasipu! NTSC Format, All-Region, Plays on all DVD players and computers worldwide.